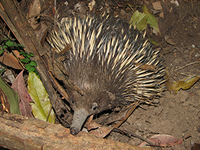 Australia's unique biodiversity has been shaped by the history of the continent and has significant social and economic value. In 2007, the Intergovernmental Panel on Climate Change (IPCC) identified natural ecosystems as being the most vulnerable sector in Australia to the negative impacts of climate change. Ecosystem health contributes to human health and well-being and provides essential resources including clean water and air, and supports major Australian industries including agriculture, tourism and fisheries. Historical features, coupled with human changes to the environment, will influence the magnitude of future climate impacts. The reduction of greenhouse gas emissions is critical for reducing future biodiversity loss. Adaptation management actions aim to minimise or avoid the negative impacts of climate change on biodiversity and ecosystem processes, and will need to be implemented, in association with, the reduction of greenhouse gas emissions. Changes in the Australian climate have already been observed. Average annual temperatures on land have increased by nearly 1oC over the past 100 years. Changes that are consistent with a climate change 'signal' are already discernible at the genetic, species, community and ecosystem levels across the continent. Population losses and species extinctions are predicted, through a variety of direct and indirect impacts. Climate change will likely interact with other stressors already experienced by our biodiversity.